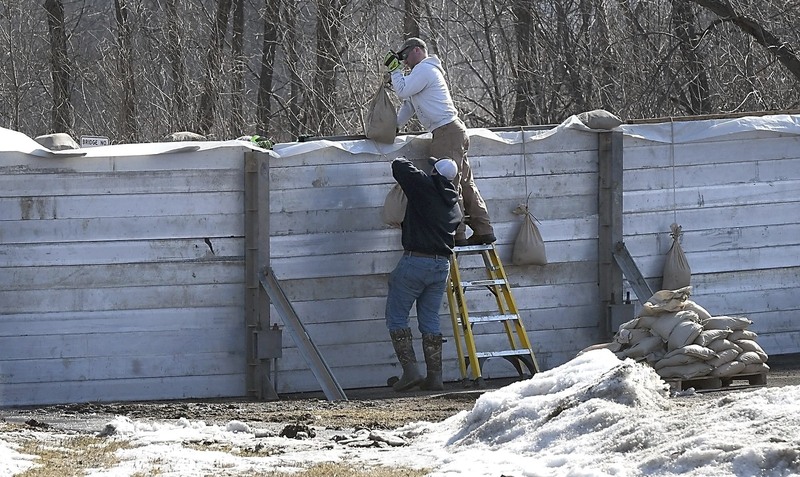 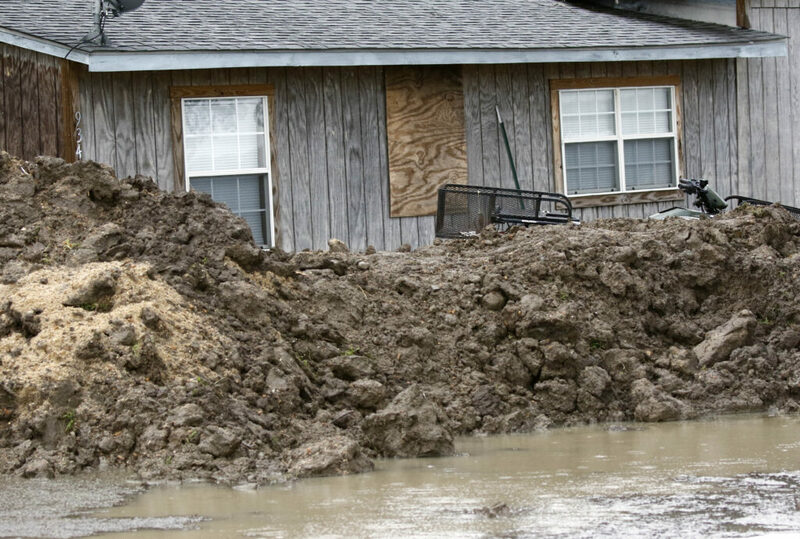 This March 11, 2019 photo shows a makeshift levee built by a resident in Rolling Fork, Miss., to protect his home from flood waters. 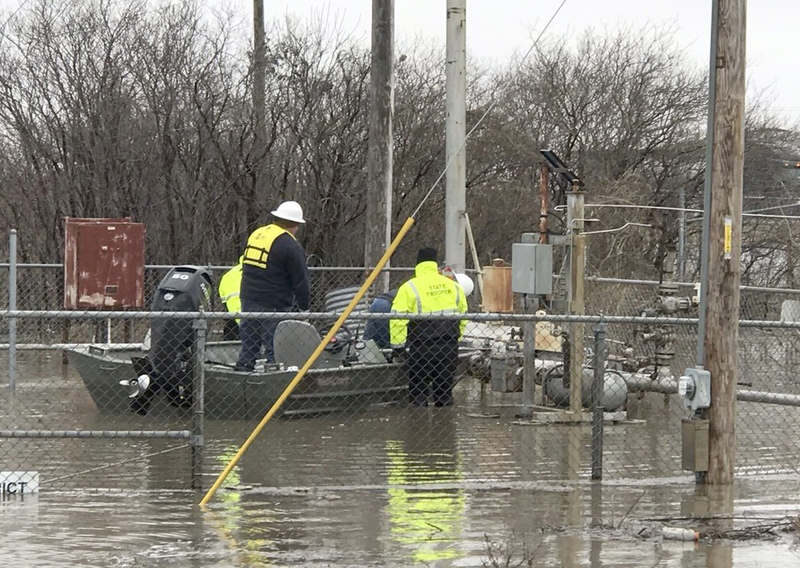 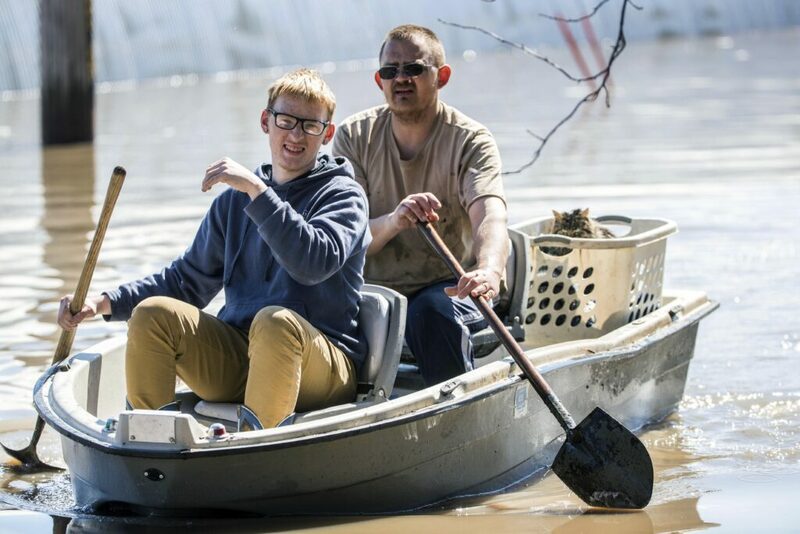 In March 2019, scientists are warning that historic flooding could soon deluge parts of several southern states along the lower Mississippi River, where flood waters could persist for several weeks. 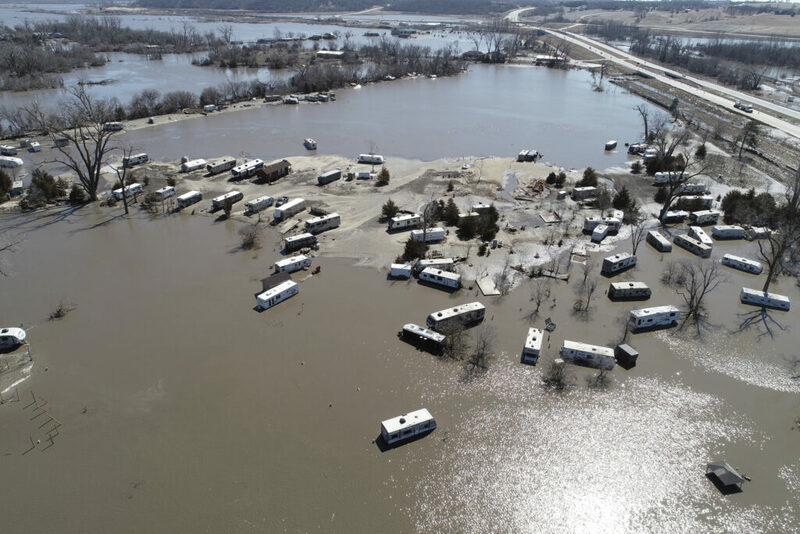 Water flows across State Highway 93 south of Henderson Wednesday, March 20, 2019. 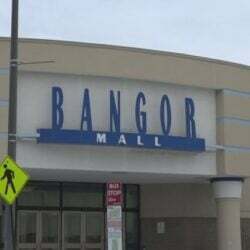 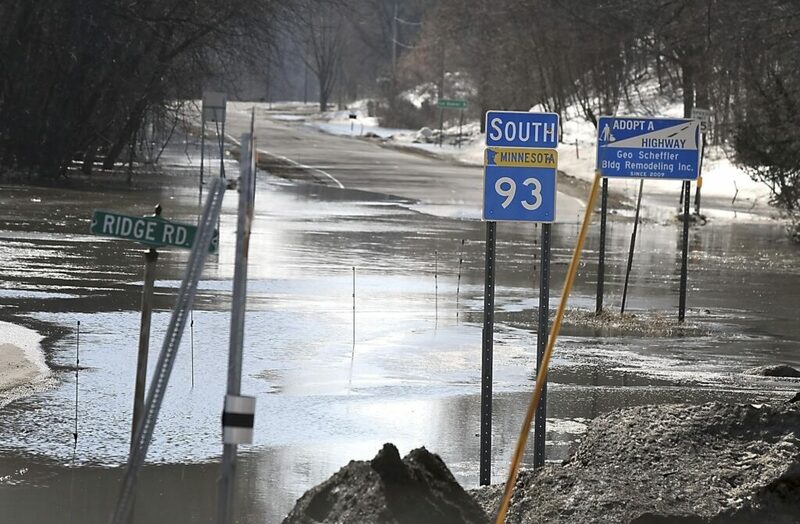 Three of the four highways leading into the town are closed because of flooding.  In this March 14, 2019, photo, men go to check on cabins at River Resort near Yutan, Neb. 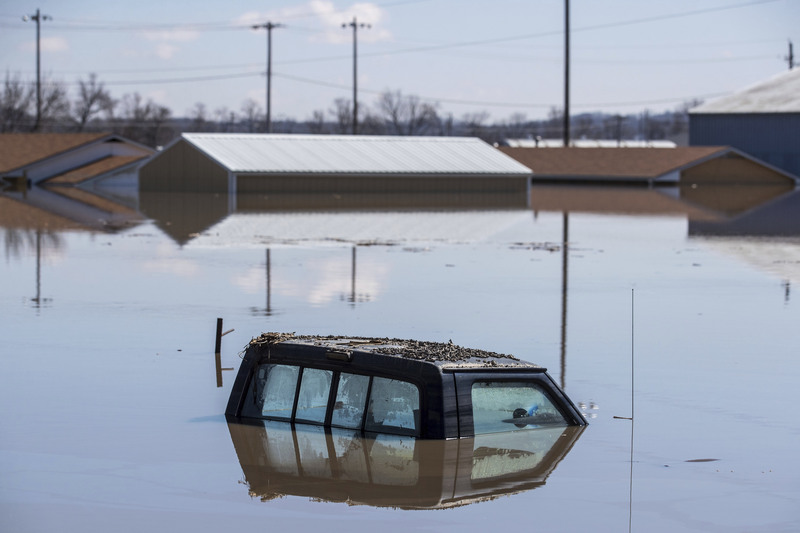 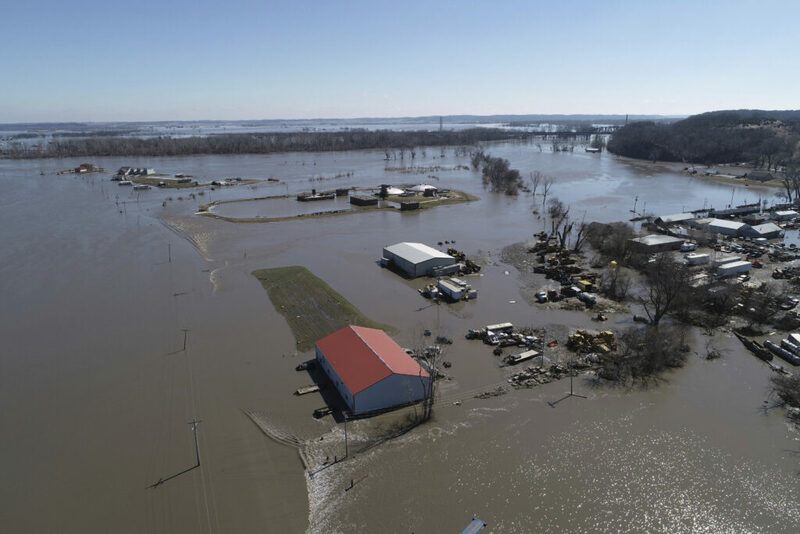 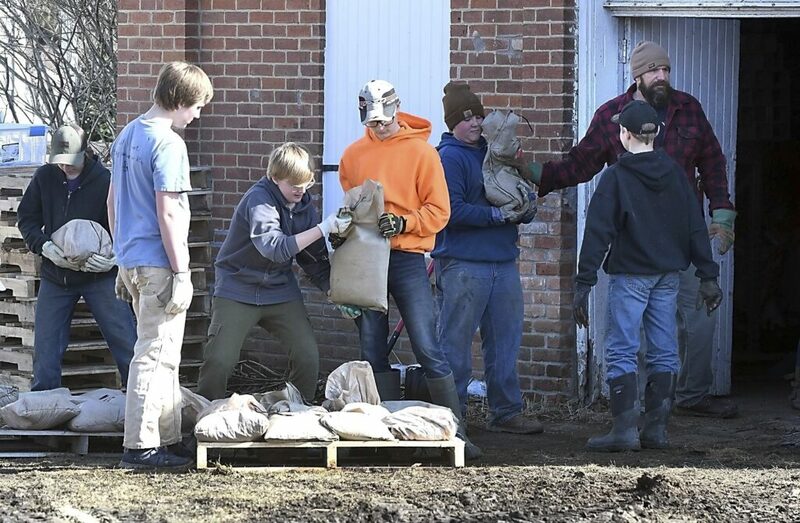 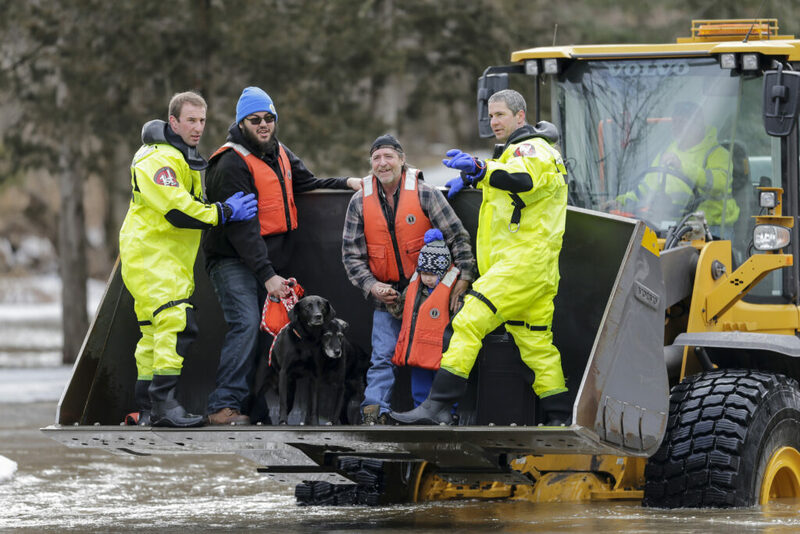 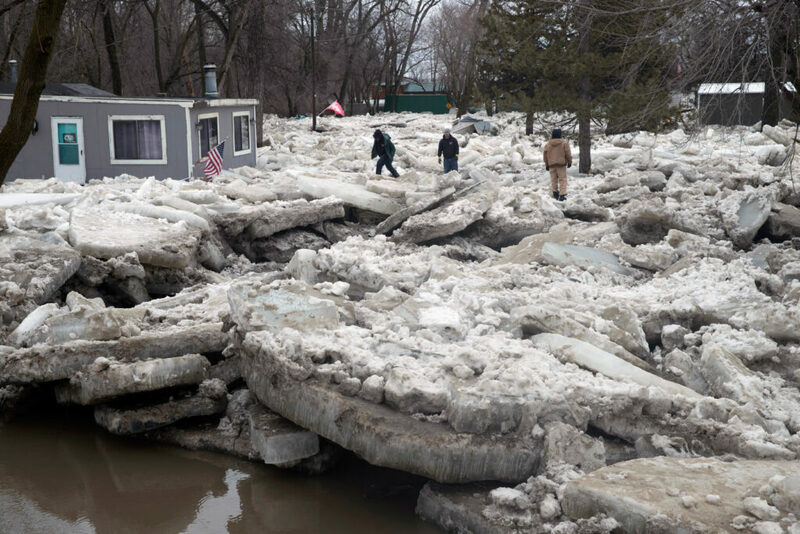 A late-winter storm system continued its trek across the Midwest, sending rain and snow into Minnesota and Illinois after leaving devastating flooding in parts of eastern Nebraska and Iowa.